Summer is all about fun, but that doesn’t mean you have to stop learning. You can combine fun and education when you use these summer learning activities! 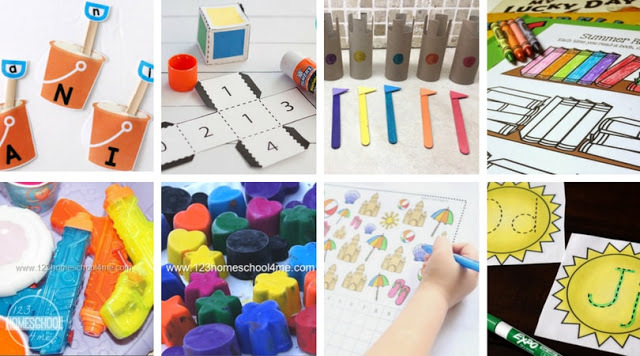 Whether it’s outside fun in the sun or summer-themed worksheets, your kids will enjoy learning with these fun activities. Did you know you can keep your kids learning this summer without compromising on the fun? These summer learning activities are what you need to make education and fun a priority while school is out. 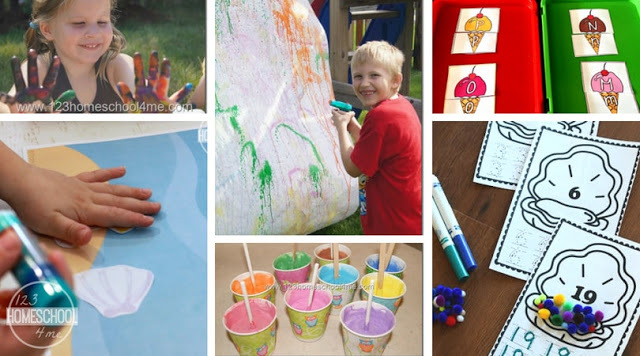 With activities for sun in the fun, as well as summer-themed games and printables, your kids are sure to have a blast learning this summer. Head outside this summer and have fun learning! These outside fun in the sun activities will give your kids a fun way to learn all about science, math, and more! Summer Brain Games – These summer learning activities are perfect for some outside fun in the sun. Numbers and Counting Preschool Activity – Head outside and practice numbers and counting with this activity. Bubble Solution for GIANT Bubbles – Use science to mix these fantastic bubbles for some summer fun. Marshmallow Shooter Kid Activity – How far will your kids’ marshmallow shooters shoot? Let your kids have fun making predictions and measuring with this summer activity. Squirt Gun Painting – You can use this summer activity to help your kids learn. Encourage them to paint letters, words, and more! Frozen Paint Summer Activity – Not only is this activity a fun way to cool off this summer, you can also use it as a lesson on mixing primary colors to make secondary colors! Making Ice Cream in a Bag – Here’s a tasty science experiment you should try this summer. Lego Zipline Kids Activity – Head outside and have some fun with this science activity. How to Make Chalk – Have some fun in the sun while learning with this chalk experiment. Fun in the Sun: The Summer Field Trip Adventure – Make sure you add field trips to your learning bucket list this summer! Printables and worksheets can be fun this summer! These summer-themed printables and worksheets will encourage your kids to practice their letters, sight words, number and counting with hands-on fun. I Spy Beach Games – Your kids will practice counting and graphing with this summer search. Summer Number Recognition Coloring Page – Here’s a printable that your kids will LOVE coloring. Beach Printable Pack – This beach-themed printable pack is the perfect thing for teaching your kids this summer! Summer Kids Activity Sheets – These printables are perfect for summer!! FREE Summer Color By Number – Your kids will enjoy coloring these summer printables. Bookshelf Summer Reading Log – Encourage your kids to read with this summer printable. FREE Summer Beach Coloring Sheets – Not only is this printable free, your kids will also love it! Watermelon Counting Book – Print this book and let your kids have fun coloring it! Summer Fun Planning Printable – Plan out your summer fun with this printable. Summer Alphabet Tracing – Here’s a fun summer way to practice letters. FREE Pool Writing Numbers – Your kids will love practicing writing numbers with this summer printable. Don’t forget to use crafts and games to learn this summer! From summer-themed puzzles and mazes to printable games, your kids will love these summer learning activities. Summer Fun Alphabet Clip Cards – Your kids will have fun matching uppercase and lowercase letters with this summer learning activity. Summer Letter Puzzles – Here’s another fun summer learning activity for the alphabet! Fun in the Sun Math Games – Download this math game and watch your kids have a blast! Ice Cream Number Bonds – Build these ice cream cones and learn numbers at the same time with this summer learning craft. Summer ABC Alphabet Matching – This game is a fun way to learn all about letters. Ice Cream Sundae Count to 20 Cards – Your kids will have a blast counting with this summer-themed activity mat. Summer Kindergarten Sight Word Mazes – This summer game will help your kids practice sight words. Summer Lowercase Alphabet Matching – This alphabet matching game is perfect for summer! Ice Cream Alphabet Puzzles – Let your kids practice matching letters with this summer puzzle. Fun Ice Cream Story Time with Printable Math Game – This summer themed math game will help your kids practice math! Popsicle Phonics Alphabet Puzzle – Match uppercase letters, lowercase letters and beginning sounds with this summer puzzle. Sandcastle Color Matching Activity – Build sandcastles with this fun summer learning activity. Summer is all about fun, but it can also be about learning! 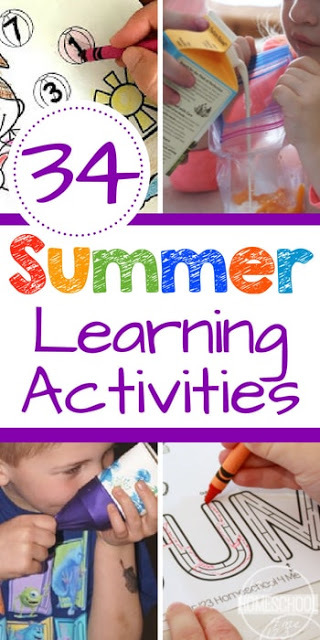 These summer learning activities will keep your kids engaged while they learn numbers, letters, and more!